On July 16th, a hot summer day, we gathered with city officials, developers and supporters to officially break ground on our latest development at Walter Reed’s campus. Abrams Hall Senior Housing will provide 80 units of senior housing as well as Housing Up’s new office space. Sixty-four units will target seniors below 50% area median income (AMI), and the remaining will target seniors below 30% AMI. 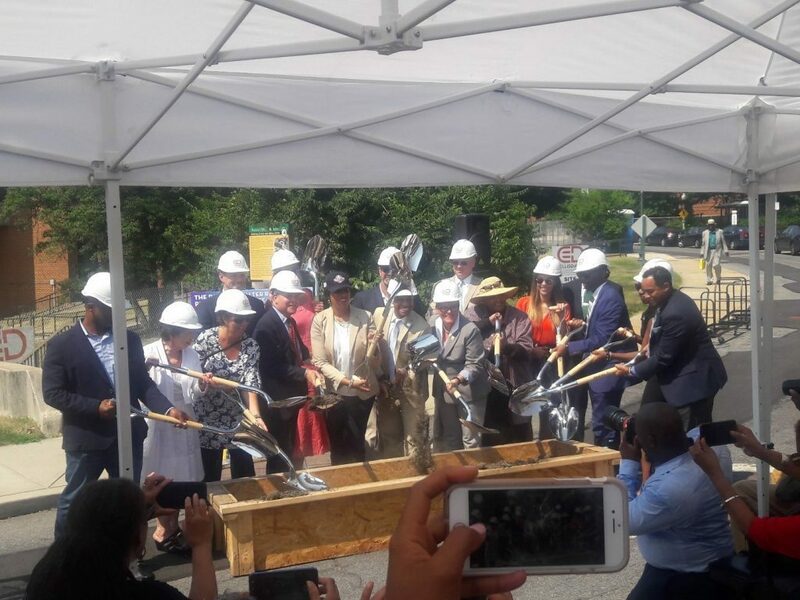 After remarks from Mayor Bowser, Councilman Brandon Todd, DHCD Director Polly Donaldson, and our very own President & CEO Philip Hecht, officials took part in a ceremonial ground breaking, complete with hard hats and shovels. Construction will begin immediately, and is expected to be completed by July 2019.